Last night, during the Republican National Convention, Sarah Palin electrified the room that rivaled, if not surpassed, that of when Barack Obama addressed the Democratic National Convention. While both were historic in their own rights, Sarah took the opportunity to introduce herself, not only to all of the media, but to America. “When I ran for city council, I didn’t need focus groups and voter profiles because I knew those voters, and knew their families, too. Before I became governor of the great state of Alaska, I was mayor of my hometown. And since our opponents in this presidential election seem to look down on that experience, let me explain to them what the job involves. 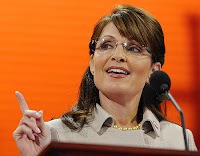 Speaking little on what she has done, she took the time to talk about what McCain-Palin would do in Washington. “And I’ve learned quickly, these past few days, that if you’re not a member in good standing of the Washington elite, then some in the media consider a candidate unqualified for that reason alone. But here’s a little news flash for all those reporters and commentators: I’m not going to Washington to seek their good opinion – I’m going to Washington to serve the people of this country. Americans expect us to go to Washington for the right reasons, and not just to mingle with the right people. Politics isn’t just a game of clashing parties and competing interests. One way that Palin states how they would do that is energy independence. “To confront the threat that Iran might seek to cut off nearly a fifth of world energy supplies… or that terrorists might strike again at the Abqaiq facility in Saudi Arabia… or that Venezuela might shut off its oil deliveries… we Americans need to produce more of our own oil and gas. And take it from a gal who knows the North Slope of Alaska: we’ve got lots of both. Our opponents say, again and again, that drilling will not solve all of America’s energy problems – as if we all didn’t know that already. But the fact that drilling won’t solve every problem is no excuse to do nothing at all. Starting in January, in a McCain-Palin administration, we’re going to lay more pipelines… build more nuclear plants… create jobs with clean coal… and move forward on solar, wind geothermal, and other alternative sources. The opposition, Barack Obama, spoke little of how his adminstration would help this growing concern of removing our dependance on foreign oil and focused more on an empty “promise.” What did Sarah Palin say about Barack Obama? “We’ve all heard his dramtic speeches before devoted followers. But listening to him speak, it’s easy to forget that this is a man who has authored two memoirs but now a single major law or reform – not even in the state senate. As most “hockey moms” know, speeches aren’t what they want to hear, they want to hear what will help their families. They also want to know how the government will work for and with them, not against them. And one way that Washington works against Americans is taxes. “Taxes are too high… he wants to raise them. His tax increases are the fine print in his economic plan, and let me be specific. The Democratic nominee for president supports plans to raise income taxes… raise payroll taxes… rasie investment income taxes… raise the death tax… raise business taxes… and increase the tax burden on the American people by hundreds of billions of dollars. “In politics, there are some candidates who use change to promote their careers. And then there are those, like John McCain, who use their careers to promote change. Among politicians, there is the idealism of high-flown speechmaking, in which crowds are stirringly summoned to support great things. And then there is the idealism of those leaders, like John McCain, who actually do great things. My fellow citizens, the American presidency is not supposed to be a journey of ‘personal discovery.’ This world of threats and dangers is not just a community, and it doesn’t need an organizer.